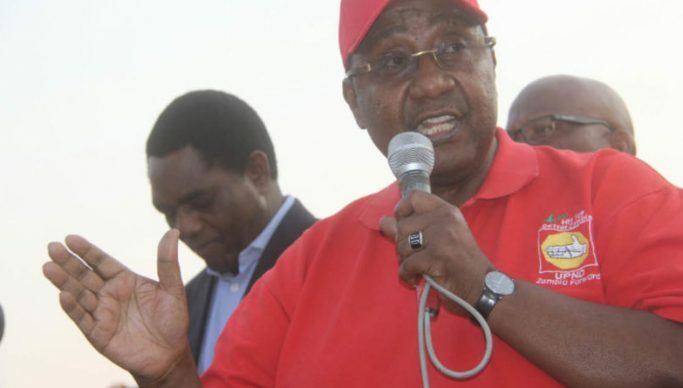 OPPOSITION United Party for National Development (UPND) vice president for administration, Geoffrey Mwamba says more needs to be done to create jobs for youths and support young entrepreneurs for their emancipation. In a message to commemorate youth day which fell on March 12, under the theme: Zambian Youths, Youth Unlimited, Mwamba said Government had the mandate to empower young people, increase their participation in governance, provide access to education, training and jobs. Mwamba said youths should desist from being used during elections as tools for violence. “The government has the mandate to empower young people, increase their participation in governance and their access to education which should be free, training and jobs, unlike what we are seeing today were youths are only needed during elections to be used as tools for violence. “We need to do more to create jobs for our youths and support young entrepreneurs so that they can help create jobs for others,” he said. He said youth bring energy, vigor, diverse and fresh ideas if they were engaged in a more productive way. “Demand your right to education, your right to freedom of assembly, speech, worship, among other rights, then as a powerful unity, young people make it known that you expect corruption free societies so that you can enjoy a brighter future,” he said. Meanwhile, Copperbelt Minister Japhen Mwakalombe has said that more than 200, 000 jobs will be created for the youth after the Copperbelt Investment Expo. Mwakalombe said youths were a resource that needed to be nurtured as such Government would ensure that they were not left behind in terms of development. Mwakalombe was speaking in an interview in Ndola yesterday after the Youth Day celebrations. “As you are aware, we will be having the Copperbelt Investment Expo in June this year. We will create 200,000 jobs for the youths. That is what we stand for and we want our youths to use their skills,” Mwakalombe said without elaborating how the jobs will be created. Mwakalombe said he was happy that there were youths from different political parties during the Youth Day celebrations, stressing that it was a sign of unity in the country. Mwakalombe advised the youth not be agents of political violence and abuse, stating that their time and effort needed to be channelled into development activities. Mwakalombe noted that youths did not need to get educated to be employed but could become innovative to better their livelihood.